This is my third year being on the jury for the Rainbow Awards. 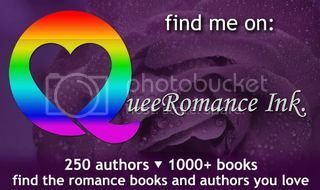 They’re well worth checking out, both for authors, and for readers wanting to find new authors and books to read. A big welcome to fellow Dreamspinner author, Brynn Stein, today on my LJ. Brynn is sharing the story behind her latest release Haunted. A big welcome on my LJ today to fellow Dreamspinner Press author, Pinkie Rae Parker, who is sharing her thoughts on Inspiration in Everyday Occurrences.